Students at Willow Brook Elementary School can now extend their art class beyond the school day, thanks to a little help from Vantage Credit Union. 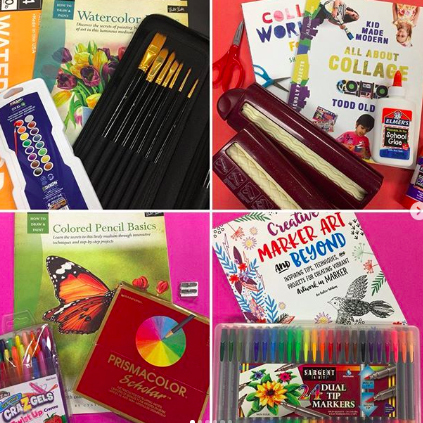 Art teacher Dawn Lynn received a grant from Vantage for $1,000, which she is using to create approximately two dozen take-home art kits for her students. "I want my students to be creative in the way that they want," Lynn said. "Some students like building with Legos. Some like painting or drawing or sculpting with clay. I've gotten some great feedback with the few kits I've put together so far, and I'm so excited that they're spending their time at home creating art instead of glued to the television or video games." The grant was part of Vantage's Impact Education grant program. Educators had to submit 60-second videos explaining how they would use the funds to positively impact their school, their students or their professional development. The public was then able to vote on their favorite submission. Lynn's grant was one of five awarded in the region. Art teacher Dawn Lynn, center, received a grant for take-home art kits for her students. 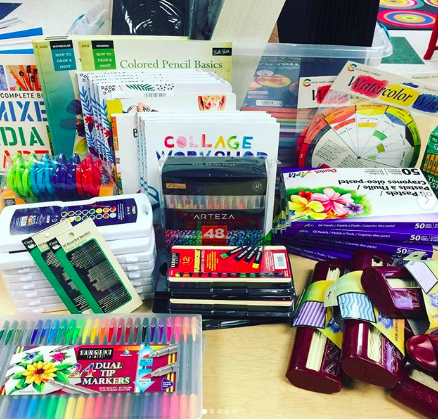 Above and below, shown are some of the art supplies Lynn purchased with grant funds.